Archaeologists find remains of Great Synagogue of Vilnius. built in 17th century and destroyed during Nazi, Soviet periods. For decades, little did the principal of a kindergarten in Lithuania's capital realize that his office stood on top of a sacred part of Vilnius' 17th century Jewish temple, once famous across Europe. An international team of archaeologists on Thursday announced the discovery of the most revered part of the Great Synagogue of Vilnius, Lithuania's major Jewish shrine before it was destroyed by Nazi and Soviet regimes. "We've found the bimah, the central prayer platform which was in Tuscan Baroque style. It was one of the central features of the synagogue," Jon Seligman from Israel's Antiquities Authority told AFP. "It is really a very exciting development. When we talk about the presentation of the site to the public in the future, this will be one of the central features of the display," he added. The green and brown, brick and mortar bimah -- a raised platform from which the Jewish holy book, the Torah, is read -- was unearthed just beneath the principal's office of a former school built in the 1950s by the Soviet regime. The synagogue, dating from the 1630s, was the most important shrine for Lithuania's once vibrant Jewish community. The city attracted Yiddish-speaking writers and scholars, earning it the title of "Jerusalem of the North". Before the war, Jews accounted for around one-third of the city's then 60,000 residents, but most of them perished under Nazi Germany's 1941-1944 occupation. The Nazis burned down the shrine and the remains were later demolished by the Soviet regime that built a kindergarten, later turned into the primary school, on the property. "This isn't just an archaeological discovery," said Faina Kukliansky, the leader of Lithuania's tiny Jewish community of around 3,000 people out of a total population of 2.9 million. "It helps to better understand Jewish life here but also the destructive ideologies of the Nazi and Soviet regimes," she added. Simonas Gurevicius, who leads a separate Jewish association in Vilnius, said he cried when he prayed at the newly discovered site. "Maybe I was the first one to pray here 77 years after the last prayers by Vilnius ghetto martyrs," he told AFP. Work at the synagogue site by Lithuanian, Israeli and American archaeologists is paid for mostly by Lithuania's fund for Jewish communal property seized by Nazi Germany and then kept by the Soviet regime. Vilnius authorities closed the school last year and plan to replace the building with a memorial that would display synagogue artifacts within the next five years. 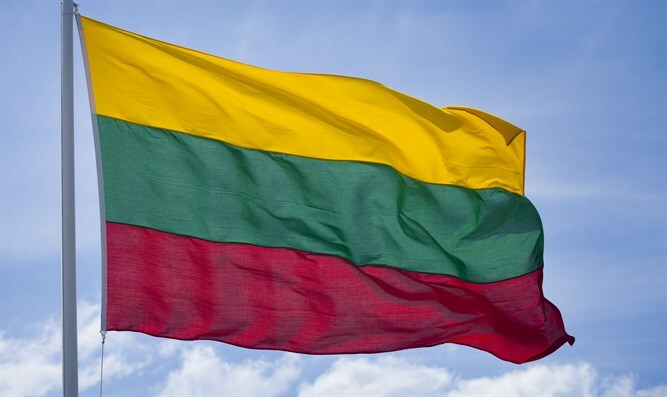 "The school will be demolished within two years and we'll create a respectful site, displaying rich Jewish heritage by 2023 when Vilnius celebrates its 700th birthday," Vilnius Mayor Remigijus Simasius told AFP.